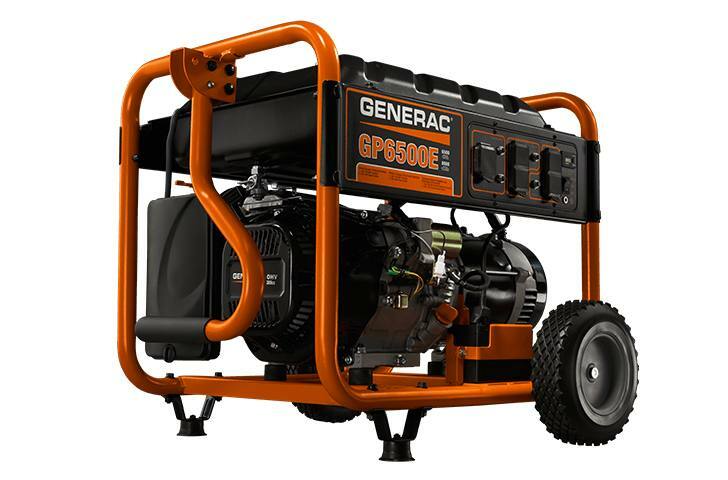 An affordable solution for many different applications, the GP6500E with electric start is ideal for tailgating, camping, power tool use, and emergency home backup power. Generac's OHV engine with splash lubrication provides a long engine life. Hour meter tracks maintenance intervals. 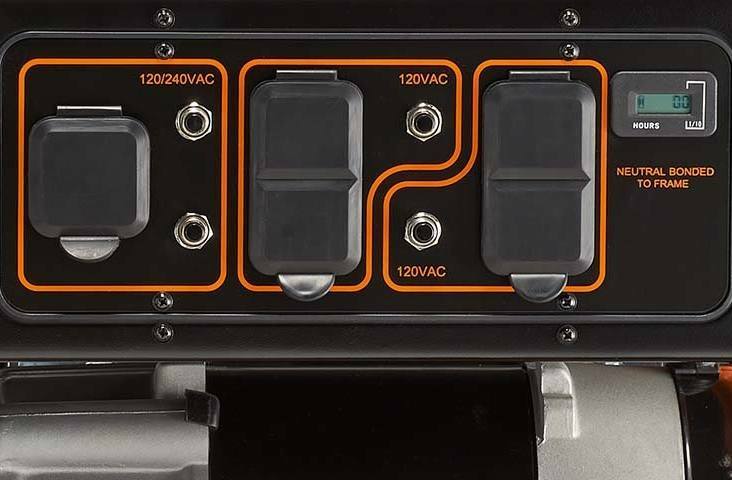 Covered outlets provides added protection from the environment and rugged working conditions. Plug-in battery charger jack keeps battery charged and ready to go. Hardened 1 1/4" steel tube cradle for added durability and strength. Fold-down, locking handle for sturdy portability and compact storage.